Bolton Staircases offer professional staircase renovation in Bolton at affordable prices. Looking for staircase ideas? 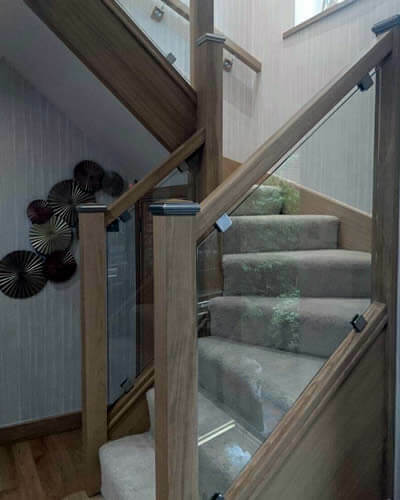 View our range of superb wooden, metal and glass staircases. Upgrade your tired old staircase with our bespoke modern, contemporary staircase designs. Bolton Staircases offer professional & affordable staircase design and installation in Bolton. Our aim is to supply & fit quality staircases, designed to your exact requirements, at a price that's within your budget. Based in Bolton, we can help whether it's a traditional design or the latest contemporary staircase with glass ballustrades. We can supply & fit your dream staircase at a price that you can afford. Your ideas are our main focus & we'll provide practical advice to help you make the right choice. We've been in the home improvement business in Bolton for many years so we place great importance on quality and value for money. Our prices are low as we both manufacture and install our own staircases. We don't have an expensive high street showroom to pay for and don't have commissioned sales people. This means that we can offer an extensive range of quality traditional or modern staircases at truly affordable prices. Designing a new staircase is a real creative challenge. Since there is a lot to think about right from the start, the staircase specialists at Bolton Staircases will assist you with the basics, practical ideas and suggestions on the myriad of options available. Let us inspire you with a staircase that bears your personal signature and that you can enjoy for many years to come. Our free staircase design survey will take no more than an hour and we won't put pressure on you to sign up there and then. From the initial design, manufacture and installation we will always on hand to ensure your complete satisfaction. 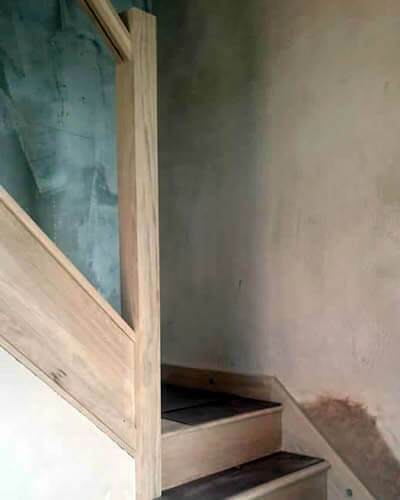 Our bespoke staircase design & fitting service covers the Bolton area including Daisy Hill, Westhoughton, Chew Moor, Blackrod, Horwich, Lostock, Heaton, Ladybridge, Farnworth, Little Lever, Harwood, Bromley Cross, Egerton, Edgeworth, Turton and Ainsworth. 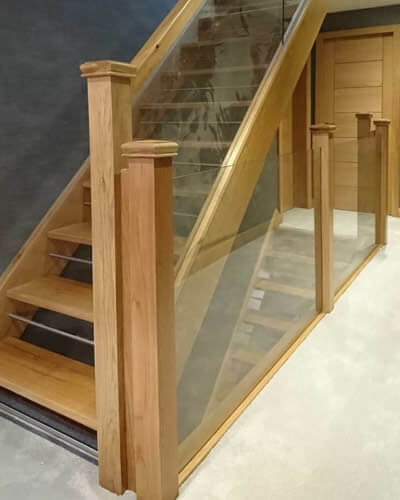 Bolton Staircases don't have an expensive high street showroom to pay for and don't have commissioned sales people, which means that we can offer an extensive range of quality traditional or modern staircases at truly affordable prices with a no quibble guarantee. Based in Bolton we can fit a glass staircase, oak staircase, wooden staircase, metal stairs and a modern staircase. Our joiners are fully qualified craftsmen with vast experience in staircase design and installation.